We appreciate the opportunity to present to you M&A World sell-side services. Our main goal is to deliver highly professional, but cost effective solutions. Whether you would like to sell a business, franchise, start-up or raise capital, M&A World would be delighted to help you. M&A World offers complex transaction services from the beginning stages all the way through until the deal is closed. The process of selling a business, franchise, start-up or increase capital roughly consists of 6 steps. The final objective is to sell at the best price. This objective is achieved by proper execution of the stages hereinafter. Our M&A Professionals are well suited to manage the complex process. You are able to choose our sell-side solutions step-by step from low-cost till the highly premium one. With us, you save time and money. The process of selling a business, franchise, start-up or increase capital starts here. Before getting into details we need to prepare a sale ability assessment, which is a free service of us. In case you would like to actively continue the selling process, we need to prepare at this stage all the necessary documents like investment memorandum, business valuation, brand valuation and benchmark analysis. Potential investors request in each case an investment memorandum in order to get familiar with the investment details. The so called IM is the most important document during the whole selling process. This document has to convince the investors that the company is valuable, reliable, synergies can be utilized and the acquisition is worth the effort. In order to reach the highest (fair) purchase price, we recommend for all sellers to prepare an official company valuation according to international standards. With the official business valuation negotiations start on a higher level and asking price can be easier secured. Sometimes brand valuation is also necessary, in case the brand has the main value. We also recommend as an extra service for sellers the benchmark analysis, which gives deep information about a specific market and the competitors. This analysis compares based on the official and available information the market players. Our M&A professionals provide active investor search based on the World's largest up-to-date business database (60 million businesses are available worldwide). After your approval our Administrative Center pre-filters the industrial specific and financial investors and our Call Center contacts directly all the potential ones. 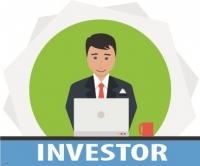 The active investor search process takes around 3 months and it is surely worth the effort. The outcome of this phase is an executive summary with qualified potential investors open for the takeover. In this stage of selling a business, franchise, start-up or increase capital we go deeper. We draw the attention of the potential investors to the advantages of purchasing your organization and picture very clearly what is in it for them and how they can benefit from a takeover. During the talks and meetings industrial specific dedicated advisor supports the process, holds your hand from the very beginning stages till the deal close, leads the negotiations, and prepares the documentations like NDA, LOI and so on. Once you are certain we have found the most suitable investor, we prepare an electronic, secured data room. The system sends invitations for all users, you can define access levels of the users and the structure and much more. At this stage our Administrative Center prepares scorecard due diligence of your company. Due diligence is executed on financial, operational, legal and other business areas.